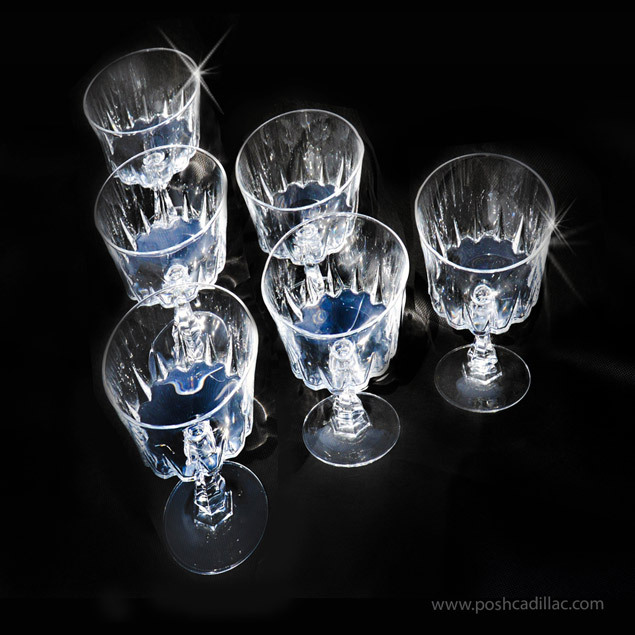 (in some countries also known of and used as champagne, sherbet & fruit punch glasses). 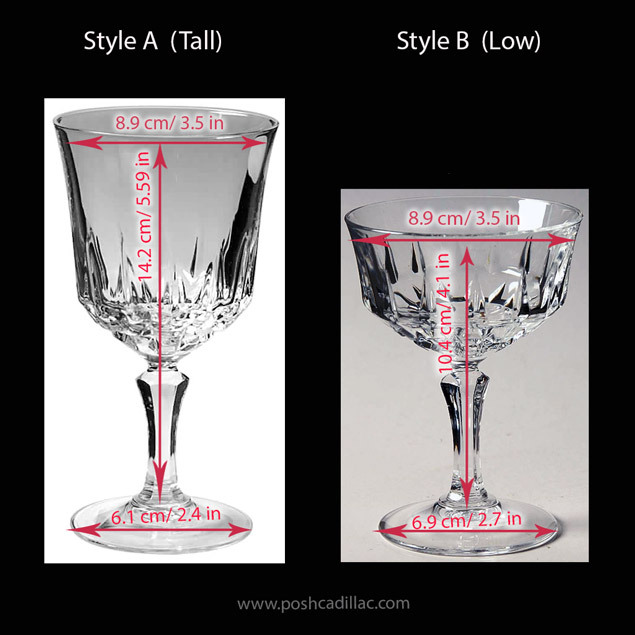 Enjoy this adorable pattern of deluxe water Goblet & Shampagne/ liquor glasses of a design that has been discontinued… 20 years ago! 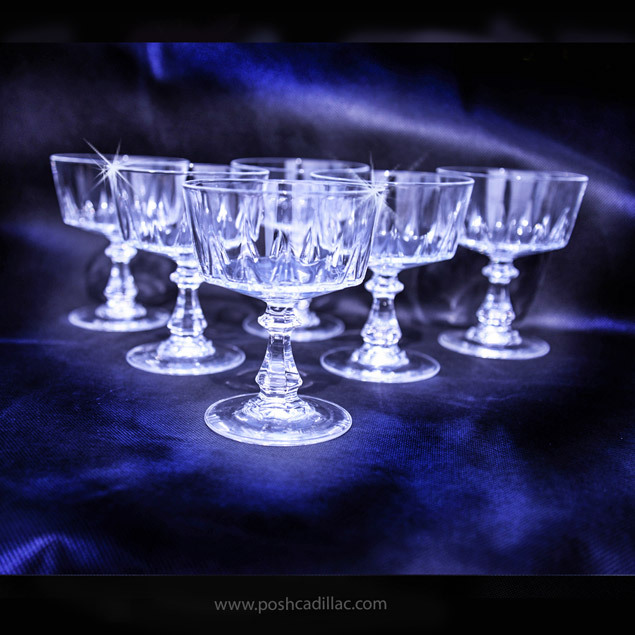 It’s vintage bohemian style is discret, making this set classic and never out of style, giving a sparkle to a nice dinner table, wedding or any occassion, a special, very stylish touch. 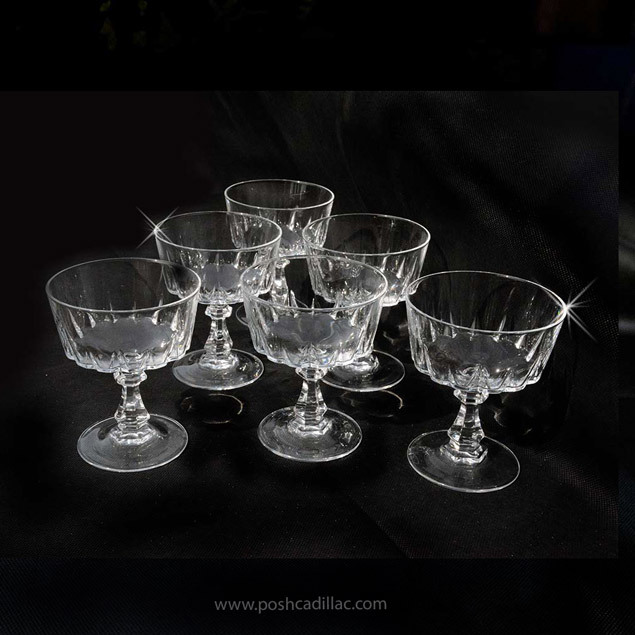 With a fine cubic posh vintage mood yet minimal & classic, this set makes for an ideal gift, most suitable for a wedding table or any formal event. The glass thickness adds to durability yet doesn’t take away from it’s elegance. A set you to fall in love with. For safer posting, these Crystal Glasses get re-packaged in random boxing (they may not come in their original packaging). 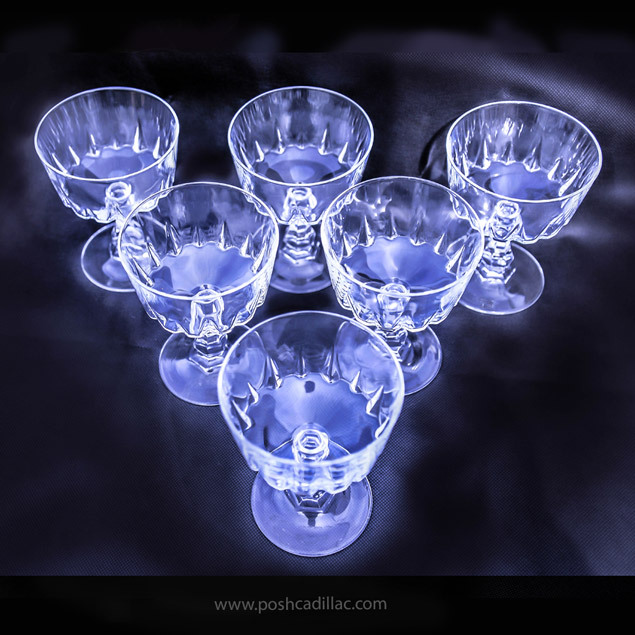 Design: Crystal Glasses Victorian Baroque Style Liqueur & Wine.